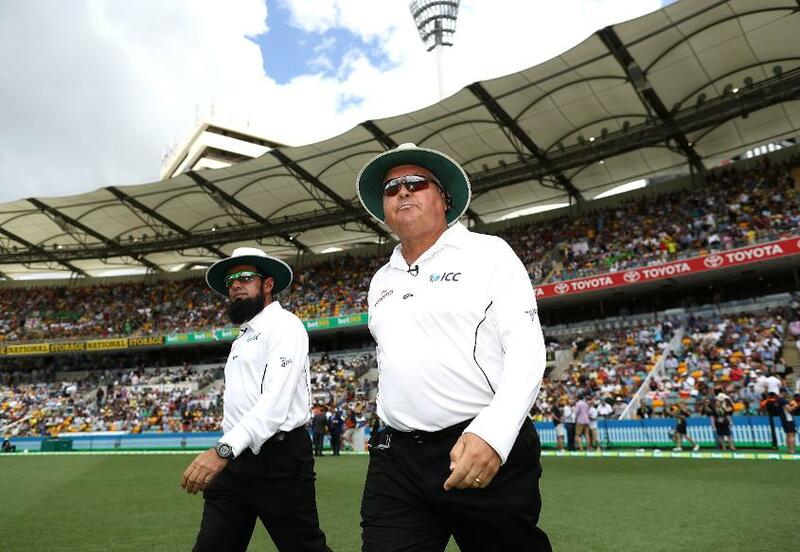 The South African retained the David Shepherd Trophy for ICC Umpire of the Year. 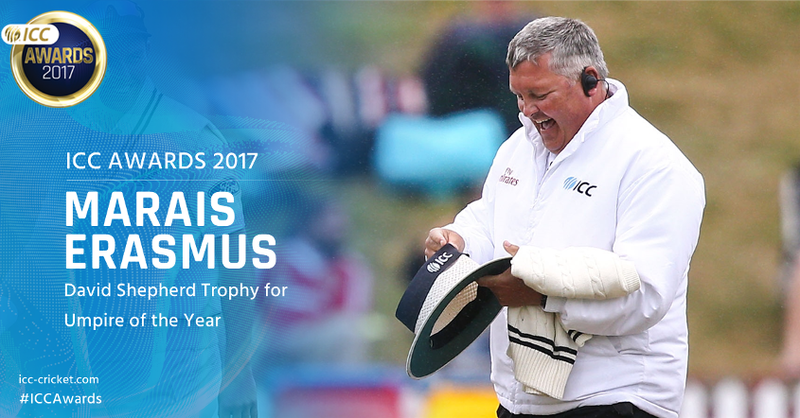 Marais Erasmus has been named ICC Umpire of the Year for the second year running. Popular with players and renowned as one of the most reliable decision makers on the international circuit, the South African first lifted the trophy in 2016, ending Richard Kettleborough’s three-year winning streak, and maintained his excellent standards last year to scoop the award once again. The 53-year-old joined the Emirates Elite Panel of ICC Umpires in 2010 having been added to the International Panel of ICC Umpires two years earlier. He made his Test debut at Chittagong in 2010, officiating the first Test between Bangladesh and India. At the time of writing he had umpired 47 Tests, 74 ODIs – including the 2017 ICC Champions Trophy final between India and Pakistan – and 26 T20Is.